Duendecillo P FOR SALE ! Duendecillo P is tested by WFFS and is clean (N/N) and does not carry the gene. Duendecillo P was approved in Denmark in 2007 as the age of 3 years old. It was a superior year in dressage colts in DWB and for example among other approved stallions were BH Zack and Skovens Rafael. Duendecillo P was approved as well in Finland 2008 as a performance test winner. The stallion has got AB from his offspring. In november 2011 the stallion moved to Sweden and is trained and ridden by Jeanna Högberg and they have competed with success ever since. Year 2014 they started to compete internationally small tour and after breeding season the stallion made a debut in GP as well. 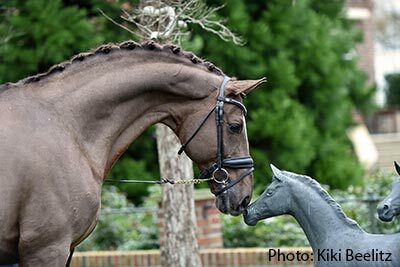 The last but not least, the stallion was approved in Hannoveraner Verban in december 2014 (Hannoveranerförbundets Anerkennung 9 december) and the offspring can be registrated now in FWB or Hannoveraner Verband. Duendecillo P competed his first season in GP in 2015 and with success! 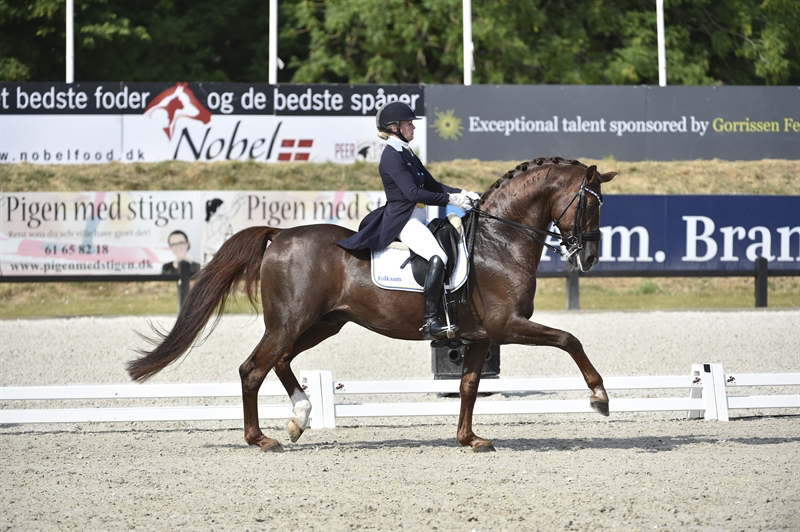 Stallion won GP Freestyle in CDIO3 Vidauban and won both big tour GP and GP Freestyle (72,100%)in Helsinki CDIO3. In Oslo CDIO4 Duendecillo P placed 3rd place on GP Freestyle and in Herning CDIO3 2016 he was 6th place in GP Freestyle with 71,375%. This lovely stallion is now For Sale and we wish to find a rider who would love this stallion as much as we do. He is easy to ride even though he is a stallion. He has been competed since 2011 with Jeanna Högberg and been in breeding every summer in Finland since 2008 . He is healthy and in competition condition. He is at the moment in Germany at Helen Langehanenberg . Inquires by telephone +358400166325 (Anne Niemi, Dr.vet.med) or by e-mail info@anneniemi.fi .